Info-bingeing makes us cranky and less effective. Refresh with the sound of silence. Writers like Cormac McCarthy and William S. Burroughs have long claimed that language is a parasite or an infectious virus. Too much can leave you feeling feverish and tired, drained, and weak. Their view is supported by numerous studies on cognitive-load theory and information overload in various fields, including psychology, education, and business. Cognitive-load theory posits that brains have only so much bandwidth, so to best take in information, you must also limit it. Choosiness improves information intake. Since most of the information we encounter is in the form of words, limiting language helps. Think of your focus as a precious resource; protect it like a national forest. Limits decrease stress. Info overload makes us cranky, distracted, and ineffective, intellectually and emotionally bloated. Hence the coinage “infobesity.” Info-bingeing causes this information obesity and it’s much-discussed among entrepreneurial types obsessed with efficiency. Infobesity, a widespread problem, can be managed by balancing your diet. Try just reading an article without checking text messages or listening to music. Don’t multitask and don’t play a podcast while working. Think of your focus as a precious resource; protect it like a national forest. Need an extreme language detox? Go silent. Stop talking or take a break from technology, or both. Retreating from the word, even briefly, refreshes and provides perspective. 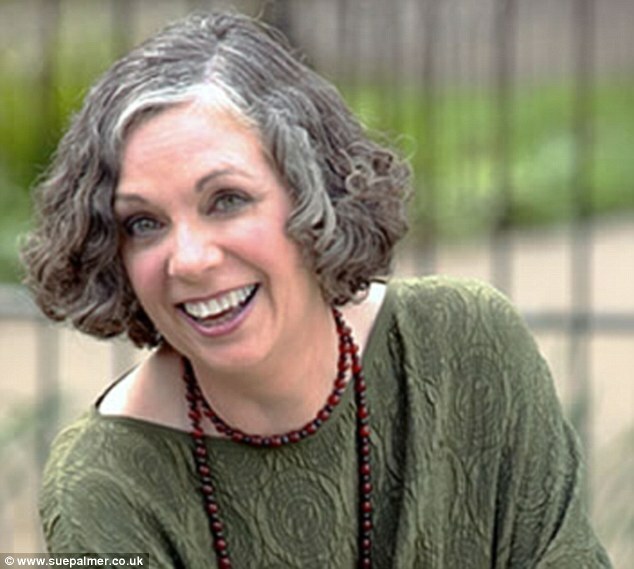 It also improves communication, says Phil Sanderson, a partner at IDG Ventures in San Francisco who talks for a living. He took a week off speaking in February, though his job is talking to Silicon Valley entrepreneurs and investors. Chatting is his thing—the venture capitalist even ended his seven-day silence break with a talk. Despite the difficulties, not talking felt good and changed Sanderson’s relationship to language. He wasn’t stressed, His senses were heightened. Plus, he spoke, wrote, read, and listened mindfully once he was chatting again. That improved his business negotiations and relationships. Some become so taken with the language break that they don’t speak for years. Environmental activist John Francis stopped speaking spontaneously one day in 1973, realizing debating didn’t advance his causes. He listened and learned instead, earning three degrees in environmental studies. ≈ Comments Off on I have 1,605 Facebook friends. Why do I feel so alone? Our smartphones bring the world, and everyone in it, to our fingertips. It’s never been easier to connect with people, yet we live in a time of increased isolation. Source: I have 1,605 Facebook friends. Why do I feel so alone? Source: The iPad is a Far Bigger Threat to Our Children Than Anyone Realizes. It’s ten years since the publication of my book, Toxic Childhood, which warned of the dangers of too much screen-time on young people’s physical and mental health. My fears have been realised. Though I was one of the first to foresee how insidiously technology would penetrate youngsters’ lives, even I’ve been stunned at how quickly even the tiniest have become slaves to screens – and how utterly older ones are defined by their virtual personas. Indeed, when my book came out, Facebook had just hit our shores and we were more concerned with violent video games and children watching too much TV. Seems like ancient history, doesn’t it? Today, on average, children spend five to six hours a day staring at screens. And they’re often on two or more screens at once – for example, watching TV while playing on an iPad. Along with colleagues in the field of child development, I’d seen a rise in prescriptions for Ritalin, a drug for attention deficit and hyperactivity – a four-fold increase in less than a decade. And we’d collected a mass of research showing links between excessive screen-time and obesity, sleep disorders, aggression, poor social skills, depression and academic under-achievement. Recent research found 10 per cent of children under four are put to bed with a tablet computer to play with as they fall asleep. 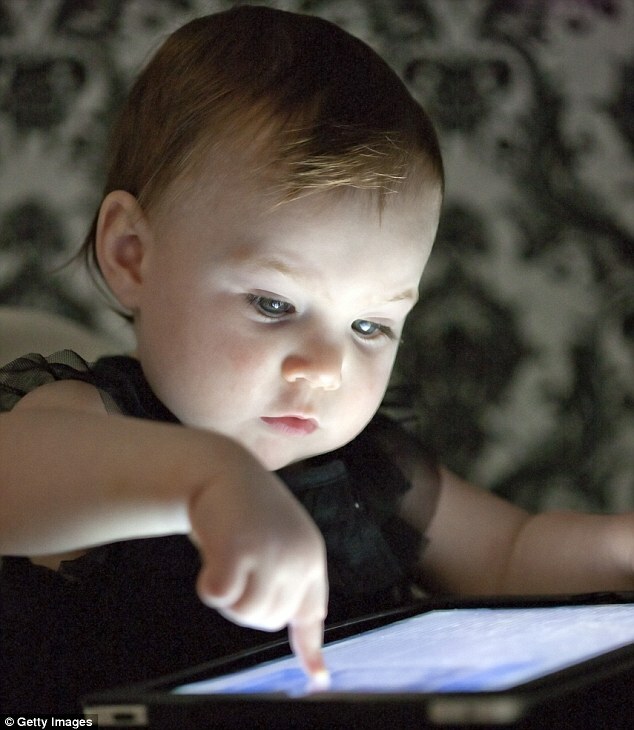 One study of families owning them found a third of children under three had their own tablets. Baby shops even sell ‘apptivity seats’ into which a tablet can be slotted to keep toddlers entertained. This is not the only worry. It’s not just what children get up to onscreen that affects their overall development. It’s what screens displace – all the activities they’re not doing in the real world. Today’s children have far fewer opportunities for what I call ‘real play’. They are no longer learning through first-hand experiences how to be human and are much less likely to play or socialize outdoors or with others. One of the most depressing examples of a totally screen-based childhood involved a ten-year-old in London. The overweight, pasty-faced little lad told me: ‘I sit in my room and I watch my telly and play on my computer . . . and if I get hungry I text down to my mum and she brings me up a pizza.’ The change in children’s play has happened in little more than a couple of decades. While many parents feel uneasy about all that screen-time, they haven’t tackled it as they’ve been so busy keeping up with changes in their own lives. Real play develops initiative, problem-solving skills and many other positive traits, such as a can-do attitude, perseverance and emotional resilience. It’s vital for social skills, too. By playing together, youngsters learn to get along with other people. They discover how others’ minds work, developing empathy. And, as real play is driven by an innate desire to understand how the world works, it provides the foundation for academic learning. Real play is evolution’s way of helping children develop minds of their own – curious, problem- solving, adaptable, human minds. Each time babies or toddlers make something happen on screen, they get the same sort of pleasure hit as they would from a cuddle or a splash in the bath. When they can get instant rewards by swiping a screen, why bother with play that demands physical, social and cognitive effort? This is vital for mental health, especially in our high-pressure world. So I wasn’t surprised when this month Childline warned Britain is producing deeply unhappy youngsters – sad, lonely, with low self-esteem and an increasing predilection to self-harm. The charity painted a bleak portrait of our children’s emotional state, blaming their unhappiness on social networking and cyber-bullying. But we can’t go on letting our children ‘be like everyone else’ when it’s damaging them. If the next generation is to grow up bright, balanced and healthy enough to use technology wisely, parents need to take action. And that means limiting screen-time, spending time together as a family and making sure get children out to play.Some say children need to use technology because that’s the way the world is going. But there’s no need to give little children high-tech devices.